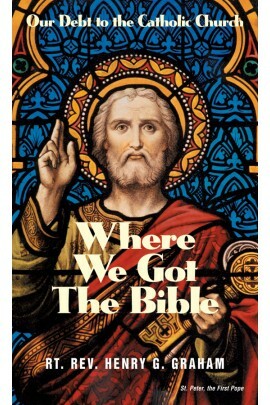 Where We Got The Bible. A perennial favorite. This short treatise outlines the history of the Bible in complete, yet simple terms. Shows how the Catholic Church has determined and proclaimed through her infallible rulings just which books are actually part of Sacred Scripture, and how she has preserved and maintained the Bible throughout the centuries. A real eye-opener, especially for anyone who thinks the Bible is a Protestant book. A perennial favorite. This short treatise outlines the history of the Bible in complete, yet simple terms. Shows how the Catholic Church has determined and proclaimed through her infallible rulings just which books are actually part of Sacred Scripture, and how she has preserved and maintained the Bible throughout the centuries. A real eye-opener, especially for anyone who thinks the Bible is a Protestant book. The Rev. Father Henry Grey Graham, M.A., was a priest and author of the twentieth century. He authored such works as What Faith Really Means, Where We Got the Bible (both originally published by the B. Herder Book Company, Missouri), and Hindrances to Conversion. Father Graham wrote in a clear and easily-understood compositional style, and covered material including Bible history and the difference between the Catholic faith and Protestantism's trust in Jesus as Personal Savior. What Faith Really Means and Where We Got the Bible were both printed by TAN in 2010. The Douay-Rheims Bible - Hardbound. The best, most accurate, safest English translation that you can use. 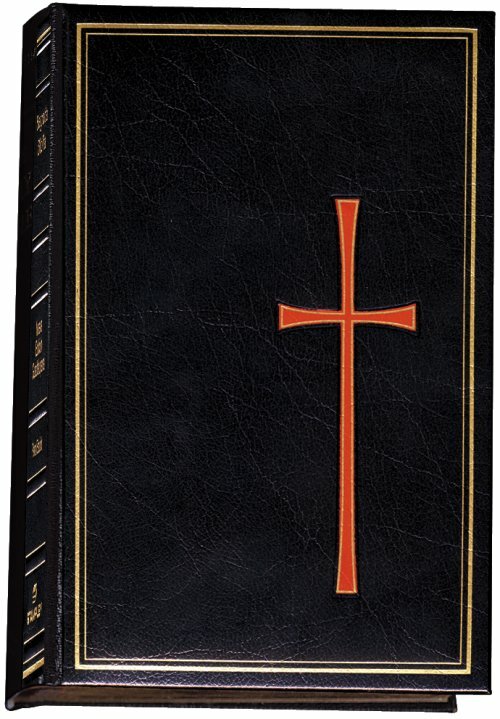 (the official Bible of the Church) - plus of the original New Testament Greek. profound and commanding Bible passages which say to all, "This is Sacred Scripture!" The best, most accurate, safest English translation that you can use. Divine Intimacy- Father Gabriel of St Mary Magdalen, O.C.D. Alphabetical, topic-by-topic selection of passages from the Bible, originally compiled to help priests prepare sermons. Over 1,900 topics and 18,000 actual Bible verses! Unlike other concordances, this one quotes the actual passages in full. Unparalleled introduction to Bible reading. A quick way to learn just what the Bible says on a host of topics. Truly a one volume Bible study course and a great aid to unlocking the true Catholic meaning of Scripture. Great for reference. Belongs in every Catholic home. A gem! TAN - 848 Pp. HB., Impr. The Celebration of the Eucharist! Origin, Inspiration and History of the Bible! BIBLE HISTORY of the Old and New Testaments By Fr. Ignatius Schuster, D.D. CHILD'S BIBLE HISTORY By M. Rev. F. J. Knecht, D.D. INTRODUCTION TO THE BIBLE By Fr. John Laux, M.A. 1 John 2: 18. Little children, it is the last hour: and as you have heard that Antichrist cometh, even now there are become many Antichrists: whereby we know that it is the last hour. In the 20th century there will be wars and fury that will last a long time; whole provinces shall be emptied of their inhabitants, and kingdoms shall be thrown into confusion. In many places the land shall be left untilled, and there shall be great slaughters of the upper class. The right hand of the world shall fear the left, and the north shall prevail over the south.